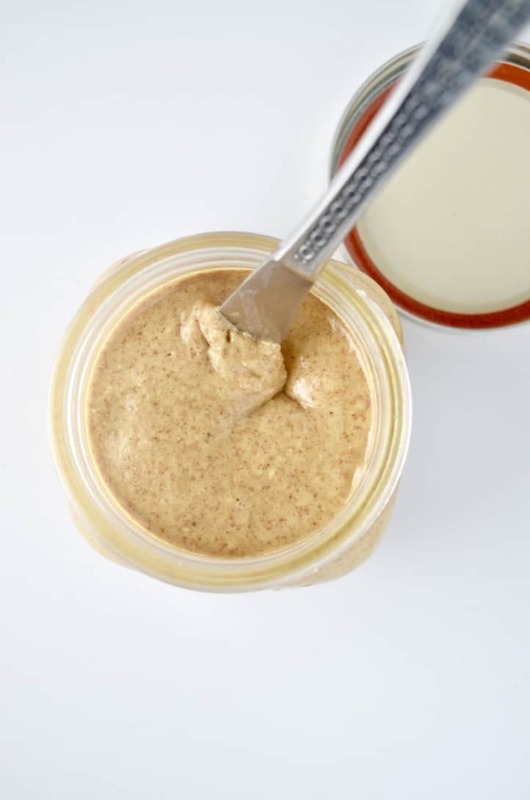 Nut butters are great to have around, especially if you have children. But, outside of peanut butter they can get pretty expensive. 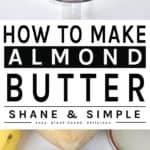 So, in keeping with the theme of Shane & Simple, here’s your introduction into the world of How To Make Homemade Almond Butter. Here’s the best part – ONE INGREDIENT! No extra oils, sugars, etc. Just almonds! My personal preference is almonds, but you can use any nut you like. Start out by roasting 3 cups of raw almonds in a 350 degree oven for 10-12 minutes. Remove from the oven and let your nuts completely cool (that’s what she said). 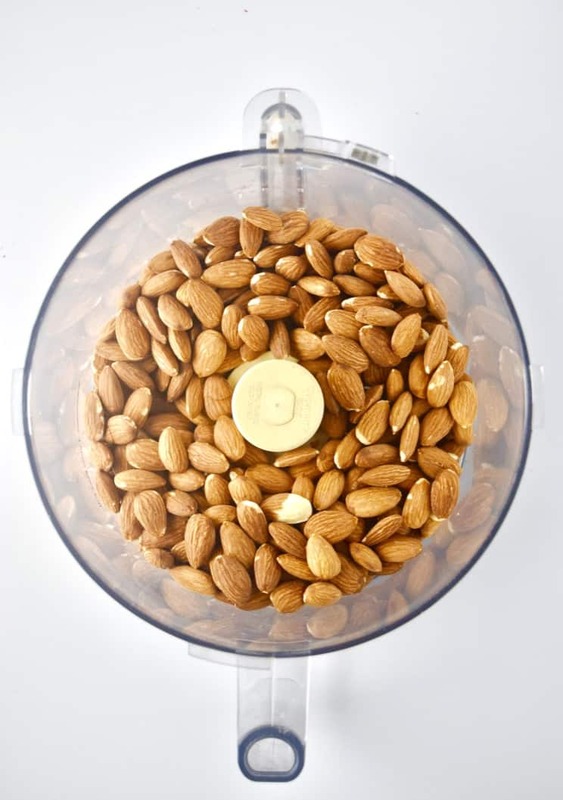 Then, place the almonds in a food processor and here we go! 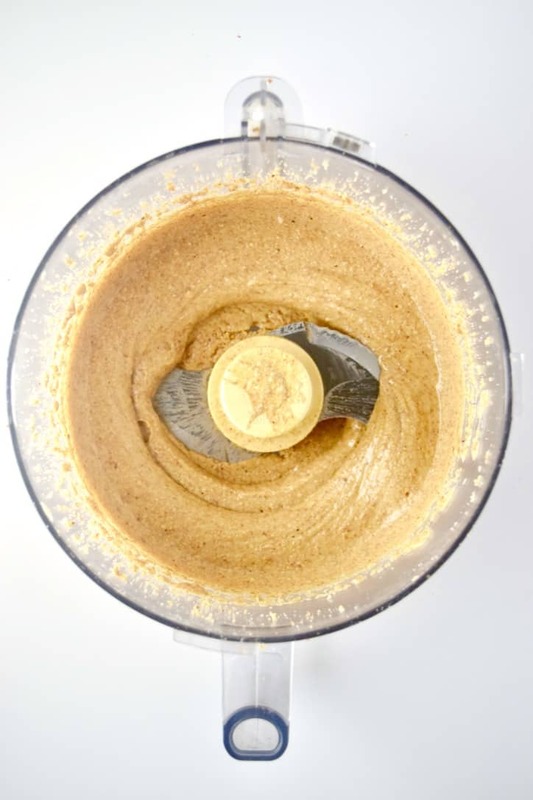 …and in 11-13 minutes, ALMOND BUTTER! Pour your new master piece into a fancy little jar like the one you see here so everyone thinks you’re hip and incredibly cool. …and finally, spread some of that $#!+ on a piece of toast and reward yo’ self! You’ve earned it. You just made almond butter. Congrats! As usual, be sure and let me know if you make this! Leave a comment; take a picture; post it on Instagram; tag the photo #shaneandsimple; because I want to see your dish. Peace and feast! 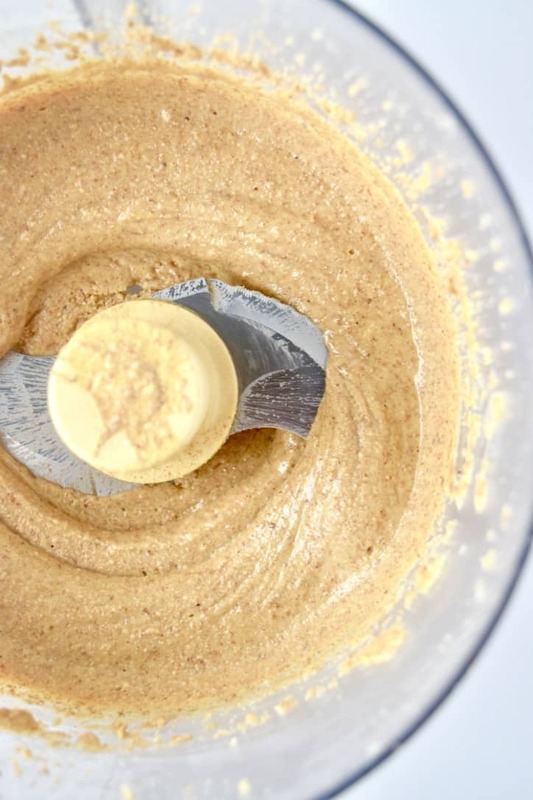 How to make your own healthy, creamy and delicious almond butter at home. You can get creative and make your own blends and save money. Preheat oven to 350 degrees and spread almonds onto a baking sheet. Roast in oven for 10-12 minutes. You want them smelling good and browned a bit…not stinky and burned. Remove from oven and let cool. Usually about 10 minutes or so. 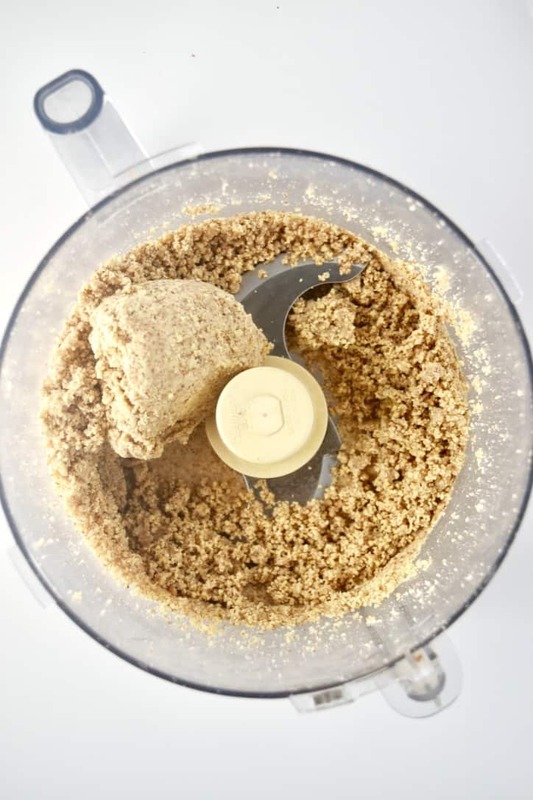 Place almonds in food processor and let process until you see almond butter. This part of the process usually takes around 11-12 minutes so please, be patient. 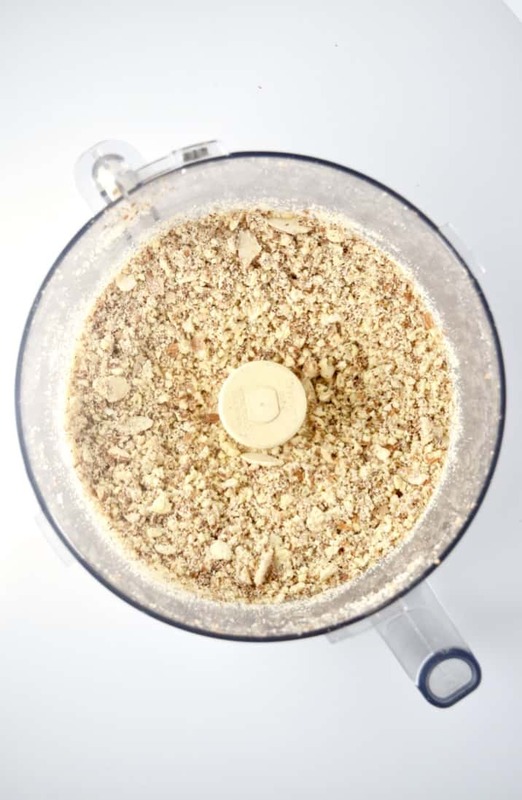 The nuts should go from whole, to ground up & choppy, to lumpy, and finally, nut butter. Also, you will more than likely need to stop the food processor periodically to scrape down the sides…perfectly normal. 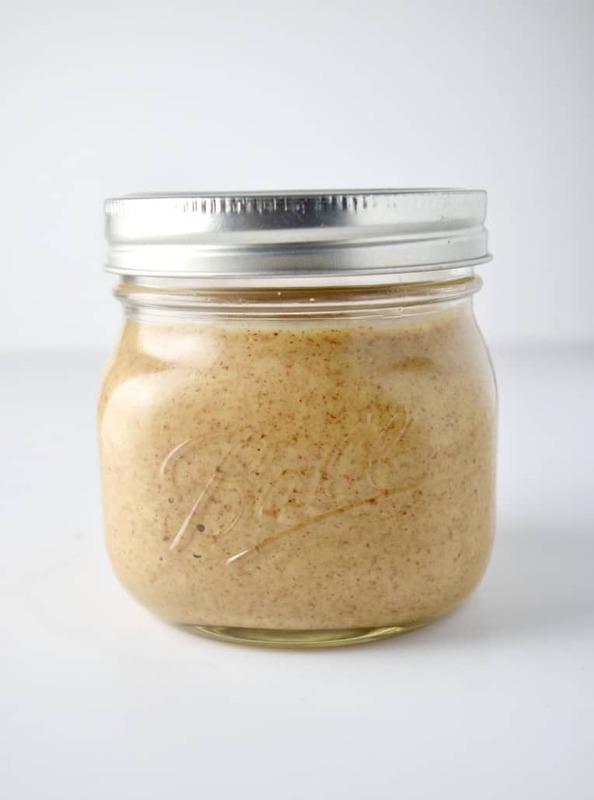 Once you have your almond butter like you want it, eat it, show it off, or store refrigerated in a jar. It should last for a few weeks. 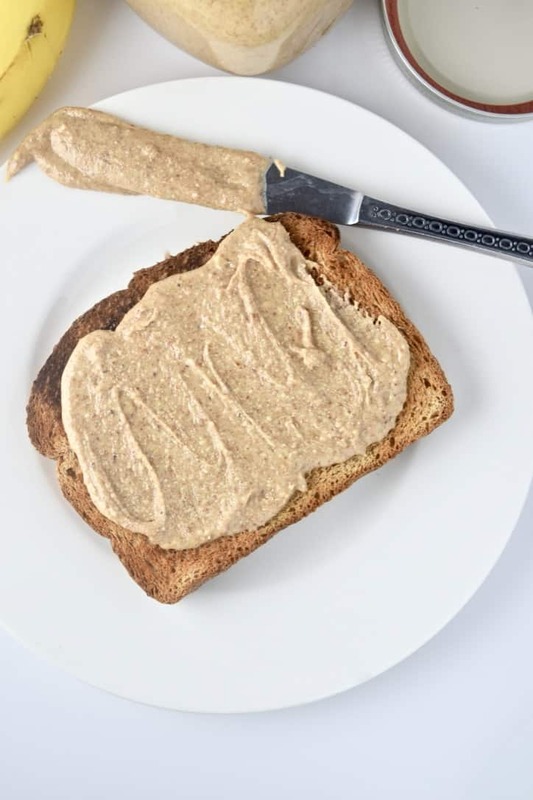 Once you have created a creamy nut butter, feel free to get creative. Add 1/4 cup of non-dairy chocolate chips to make an incredibly decadent cocoa almond butter. Add chia seeds, hemp seeds, flax, etc. 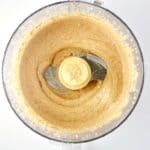 to make this nut butter a protein power bomb. Do you need to first soak the almonds before roasting for better nutrient absorption? Thanks! What about processing them without roasting…will I still get a creamy result? No, not with raw almonds. Roasting releases the natural oils and they will process much easier.